Breaking! Apparently, according to Adam Levine, the version of Adam Levine that we're seeing in 2013 is the best version of Adam Levine that has ever been. In high school, he was "delusionally, unreasonably confident," and now he is "a lot less confident." He's on the upswing, you guys. This is the humble, thoughtful Adam Levine. 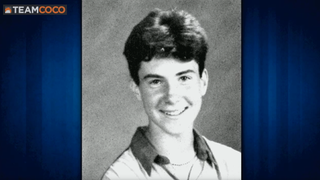 When Adam Levine was a baby he was LITERALLY GASTON. Just a little baby Gaston in JNCOs and a hemp choker. Dawww. Like the Benjamin Button of douchiness.